1. 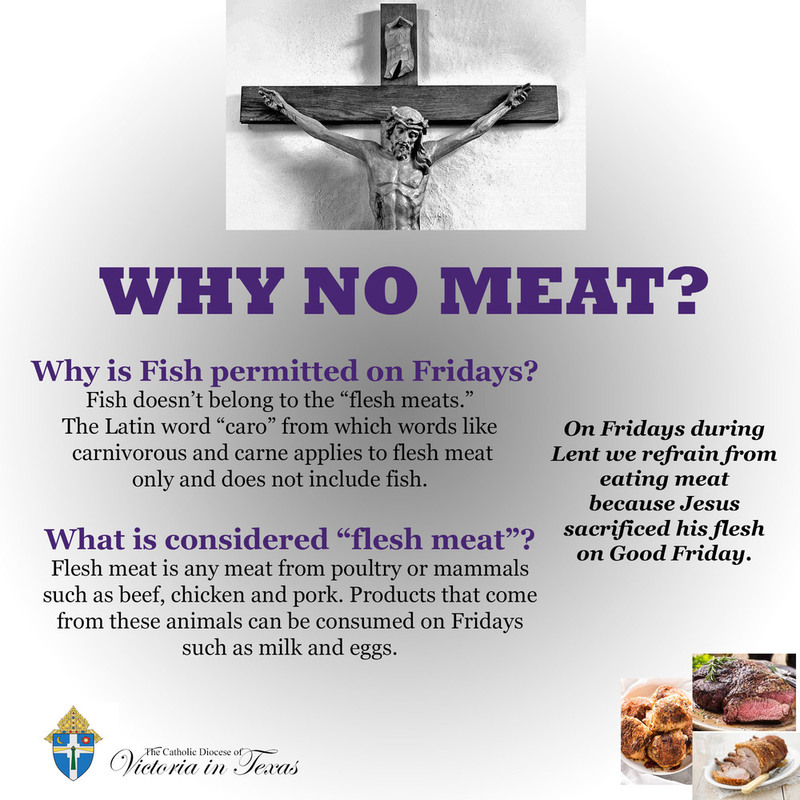 Fasting and abstinence from meat, on Ash Wednesday and Good Friday. 2. Abstinence from meat on all Fridays of Lent. The law of abstinence from meat is required of all those fourteen years of age and older. 3. The law of the fast means only one full meal may be taken during the day. Two light meals are permitted, but are not to equal one full meal. The consumption of solid food between meals is prohibited, but liquids may be taken at any time. 4. The law of fast binds those who have completed their 18th year and have not yet reached their 60th year. 5. Those, who by reason of their young age, are not bound by the laws of fast and abstinence, should be taught the true meaning of penance. Apart from the special Lenten activities of individuals and parishes, Lent also affords a special opportunity for families to grow deeper in their commitment to Christ. Within the family, penitential practices and devotions can be conducted, including the use of Scripture, the Rosary, the Chaplet of Divine Mercy, and other forms of family prayer and devotion.